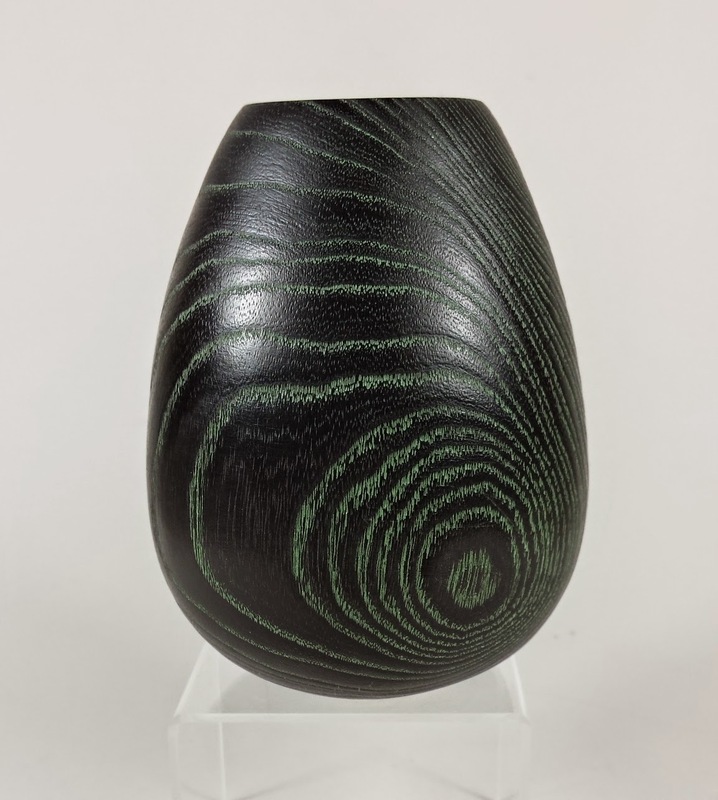 Deep hollowed vases which may be either textured or coloured. These four ash vases have been scorched and then wax rubbed into the grain to add colour and contrast. 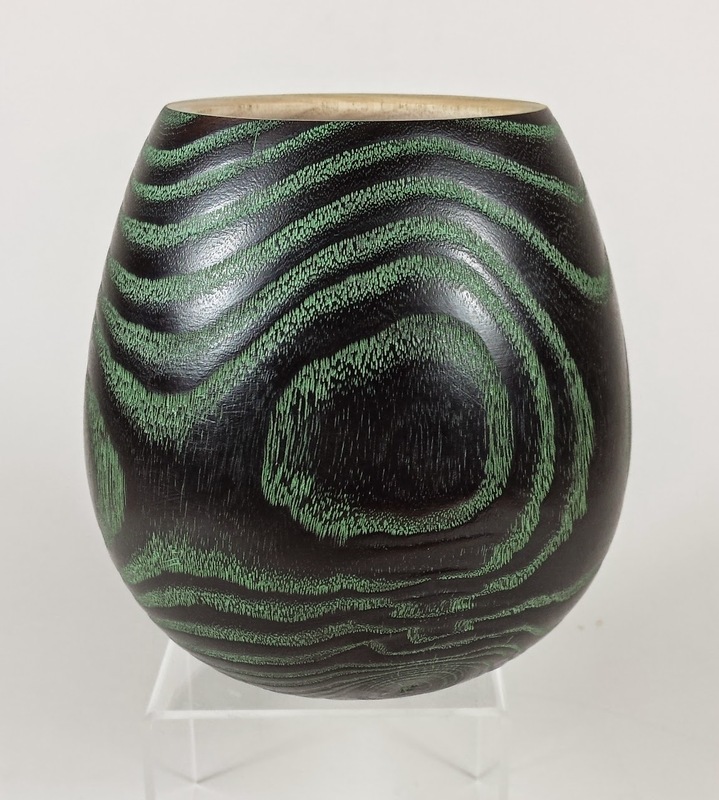 This one has had verdigris wax rubbed into the grain. This one has also had verdigris wax rubbed into the grain. This one has had gilt cream rubbed into the grain. This one has had liming wax rubbed into the grain. 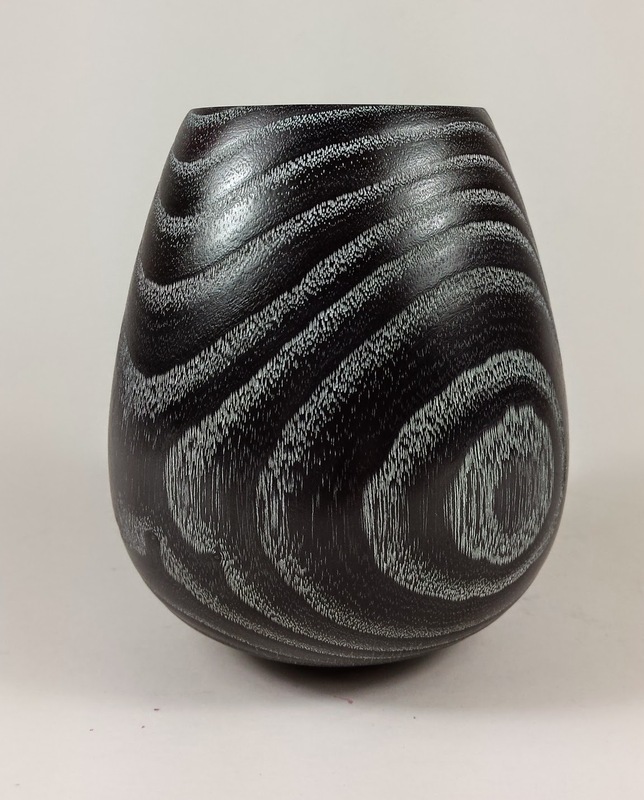 An Ash vase which has been beaded and scorched. 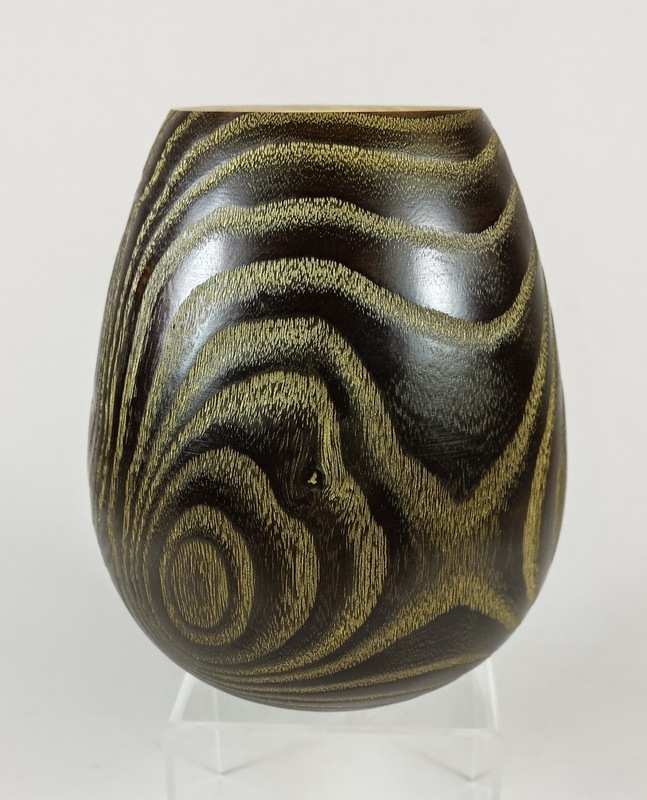 A vase which shows the fantastic figuring of beech. Copyright Liz Kent 2013. Awesome Inc. theme. Powered by Blogger.